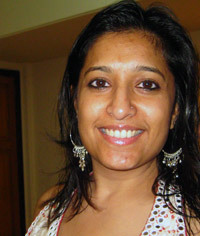 In this episode of NRI’s=New+Returned Indians, we talk to Rita Soni who moved to India from the U.S. three years ago. For someone who visited India infrequently while growing up, she’s taken to the motherland quite well! She moved from a nonprofit background – her job in Delhi was with the American Indian Foundation – to heading Corporate Social Responsibility at a national bank in Mumbai. Download or stream the interview to learn what works for her here and what doesn’t, how relationships, even work relationships, differ between East and West, and whether her worst fears – of working here, of not meeting any men – were realized.